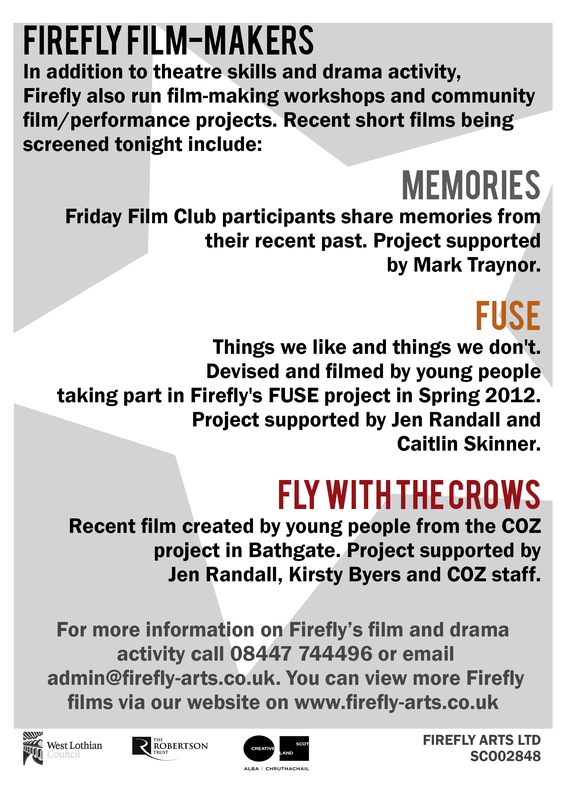 Firefly’s 10 day summer festival of productions concluded with a jam-packed presentation of film and performance in the Firefly Studio at Howden Park on Monday 25th June. 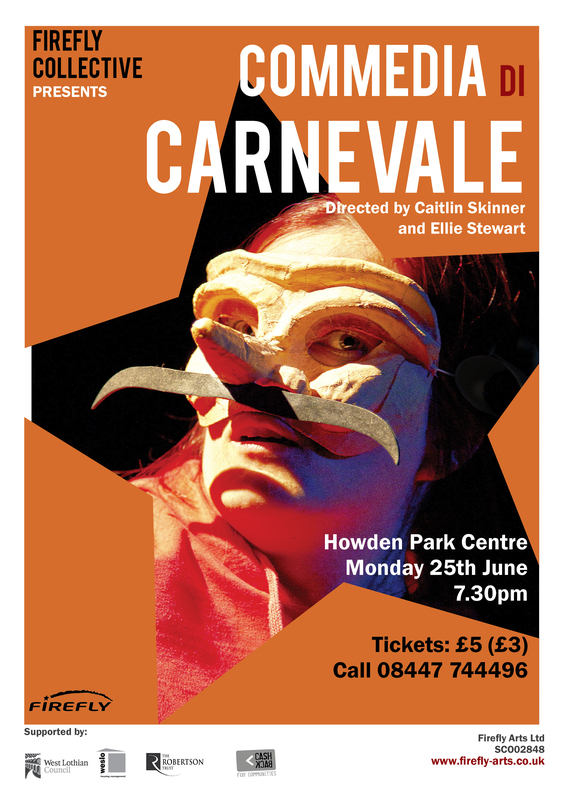 Friends, families and supporters gathered to see The Collective’s Commedia di Carnevale, recent films created by Friday Film, FUSE and 731 Bathgate Nights film-makers, and work in progress by Firefly’s young production company. With light and sound supplied by our own apprentice technicians, it was a great night for promoting the wide range of talent, creativity and aspirations of our fantastic participants. Congratulations to all who contributed! Thanks also to our equally fantastic staff. In just 3 weeks you’ve supported over 230 children, young people and young adults to give 7 workshop presentations, 5 school/community project performances, 4 theatre productions (with 9 performances in all) and 1 film screening. 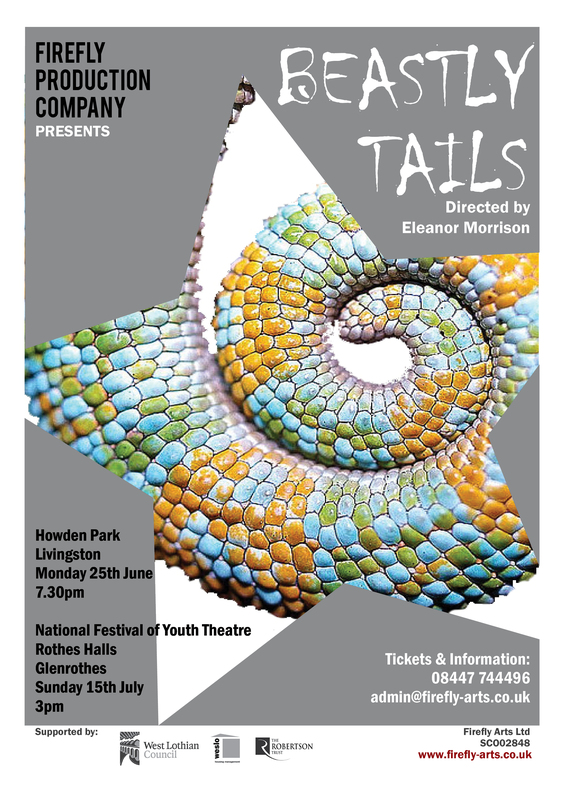 No rest for the wicked though, as NFYT and the summer programme beckon…..
View programmes, casts lists etc by clicking onto Productions/2012 Productions at the top of this page. 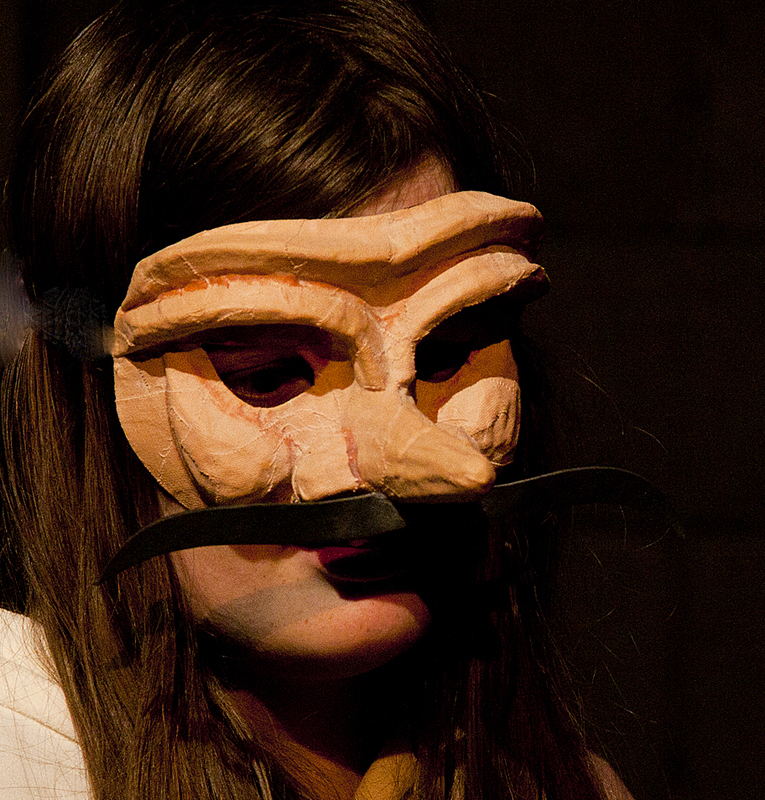 View photos for Animal Farm, Through The Wire and Firefly Collective by clicking onto Media/Photos.